Superbowl Sunday just seems like a great time to talk about protein! Let’s list what Tom Brady eats and we can go from there… just kidding! We all need a certain amount of protein to support our body mass and help us build muscles, tissues, organs, nerves and more. Surprisingly, protein is also quite easy to skimp on. If you think about it, how often do you hear of someone binge eating 16 oz. steaks? Ok, maybe at Fogo De Chao this could be a daily occurance, but outside of a Brazilian Steakhouse, it’s much less likely. Coversley, we can easily eat a whole bag of chips or crackers, or mow down a huge salad filled with a variety of vegetables. Both would fill us up but neither of these things would provide us with adequate protein. Ideally we should be getting a minimum of 20-30% of our daily calories from protein. In addition to creating tissues, protein has many other key functions in the body. It is an essential building block of enzymes, hemoglobin, antibodies, and peptide hormones. Hemoglobin transports oxygen around the body (more oxygen = better recovery!). Antibodies help fight infections and fend off harmful invaders (immune support = less sick time!). Peptide hormones include our metabolism regulators: insulin and glucagon (regulating blood sugar = more energy!). If building more muscle to burn more fat isn’t our main reason to get adequate protein in, hopefully those few factors will help us reconsider! Now let’s discuss the different types of protein and why we might consider choosing a complete protein over an incomplete source of protein. Proteins are composed of amino acids. There are 22 amino acids used in our bodies, among them, 9 are essential; meaning we cannot make them ourselves so we must get them from our foods. Not all protein-rich foods contain all of these essential amino acids in the right proportions. Proteins from plants, beans, nuts, and seeds are considered incomplete because certain amino acids are missing or limited. Animal protein is considered a complete protein because it contains all of the essential amino acids in the ideal proportions. These complete proteins also come packaged with more nutrients not found in plants like vitamin A, B12, EPA and DHA. While it’s possible to get enough protein as a vegan or vegetarian, it requires a diligent effort to get in enough total protein and the full range of nutrients. It’s also important to keep an eye on quality, as humanely raised and properly prepared animals will have a higher nutrient density and fewer contaminants, along with wild caught seafood and organic, non-GMO soybeans. If sourcing and price is an issue, remember that toxins are stored in fat, so when we go to grab a conventional piece of meat, go for the lean cuts to avoid exposure to those potential toxins. What about BCAA’s? Well, if we are eating the correct amount of complete protein sources already, we are already getting what we need, in the correct ratios, and in a form that our body recognizes! In this case extra BCAA’s would be expelled and our hard earned dollars might be better off spent on something else. However, if we are chronically under eating protein, or getting most of our protein from incomplete sources, BCAA’s can be a great supplement, just beware of the high amounts of sugar and color dyes found in most “sport” brands. Did someone say, CARBS?! Carbohydrates provide a quick source of fuel for the brain and muscles in the form of glucose. Fiber in carbohydrates also serves as fuel for our microbiome and helps us eliminate waste. When combined with protein and fat, carbs can help us fight infections and help grow and repair body tissue such as bones and skin. As CrossFit athletes, it’s important that we get carbohydrates to utilize as a readily available source of energy for high intensity exercise. Issues with carbohydrates only arise when we are consuming highly refined and processed carbs, and indulging in too many carbs for our daily level of activity. Simple carbohydrates like sugars and sugar alcohols that are usually sweeter in flavor and absorbed easily within the gut. This makes them an easy choice to grab pre and post-workout and we find most of these kinds of carbohydrates in processed foods and sweeteners. They also come with a risk, as they result in a high glycemic load on the body, spiking our blood sugar and as we know, what goes up must come down. We will talk more about blood sugar in the future, but the main point here is, if you suffer from the afternoon sleepies, this probably has something to do with it! 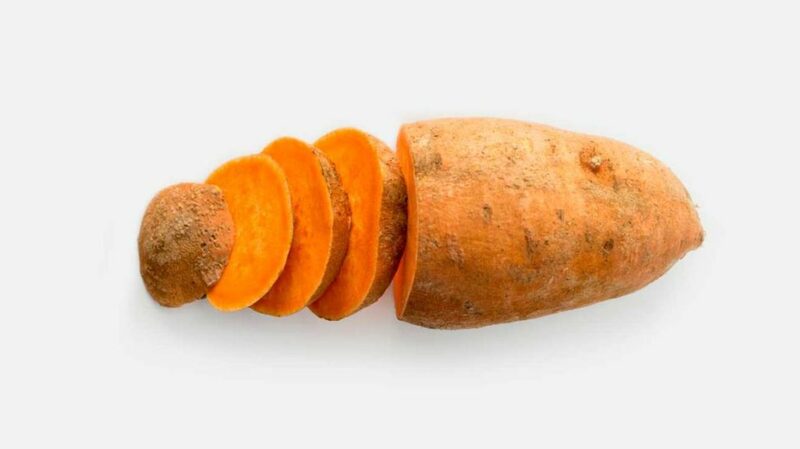 Conversely, complex carbohydrates like starches and fiber are found mostly in foods we can identify that grow in nature like vegetables, tubers and most fruits. These carbohydrates are not broken down as easily as simple carbohydrates, but they still provide us with tons of easy-to-use energy if we allow our bodies enough time to convert them. These types of carbs are generally lower on the glycemic scale, as they are packed with fiber, water and other nutrients that slow the absorption of glucose into our bloodstream. Aiming for to fill our carbohydrate needs with complex carbs will allow us to reap the positive benefits of this macronutrient without putting us on the blood sugar rollercoaster. So, how much should we be consuming? As with anything, moderation is key here! Making sure you get in the correct amount of carbohydrates for your lifestyle will ensure the best performance and long term health benefits. If you are a construction worker, who also takes CrossFit class 5 days per week, your carbohydrate needs will greatly differ from someone who works a desk job and comes to class the same amount. Finding your optimal carbohydrate consumption range can be tricky, especially since simple carbohydrates (sugar) can be addicting! Some good guidelines to follow would be swapping out most of your simple carbohydrates for complex carbs, and eating most of your daily intake of carbs around your workout times (during pre and post workout meals). Let’s also remember that we get smaller amounts of carbohydrates in all vegetables, so if you simply enjoy eating, swap the potato for squash or green vegetables and you can reach your carbohydrate goals on a much higher quantity of food! Let’s kick-off this week by setting the record straight: fat doesn’t make us fat! Fat is one of the most wrongly maligned nutrients and is crucial for numerous functions in the body. In 1980 the US Department of Agriculture (USDA) urged Americans to eat less fat and eat more grains, in efforts to curb the increasing obesity rate and make us healthier. The “nonfat” epidemic caused the food industry to quickly remove and replace healthy fats with other (equally delicious) substances like sugar, which is indeed fat-free. While we can save the sugar conversation for another day, let’s take a deeper look at how healthy fats can actually help us reach our weight loss goals by restoring optimal function. Fat is needed to build cell walls and hormones, while serving as a protective lining for our organs. It helps us absorb fat soluble vitamins, increases satiety and is a long slow burning source of energy that makes food taste amazing! 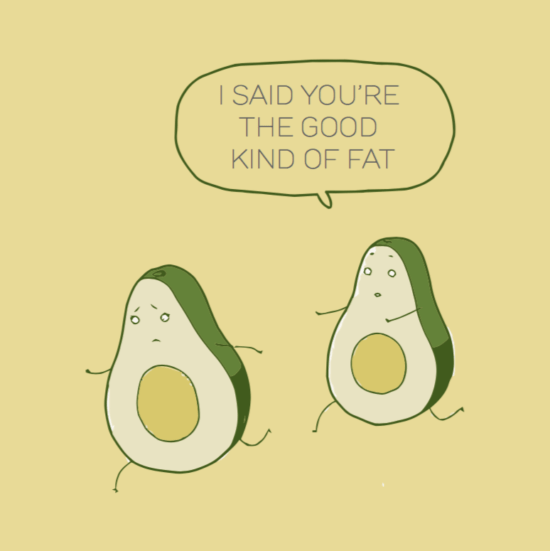 Something we should pay attention to when it comes to all macronutrients, especially fat, is quality. Toxins bioaccumulate (build up) in fat tissue, so it’s important to get our fats from clean sources, free of toxins. Man-made “Franken-fats” such as margarine, industrial seed oils (canola, soybean, corn oil), trans fats and hydrogenated oils should be avoided, as they cause excess inflammation and interfere with beneficial fats in the body. A good balance of clean fats will ensure that our bodies are able to keep up with the strain that we put them through daily, especially at the gym. Optimal fat sources can be found in 100% grass-fed animals, wild caught fish, organic tropical oils such as coconut and palm, cold-pressed olive oil, raw nuts and seeds, and full-fat, grass-fed dairy. These fats help decrease our recovery time by managing inflammation, and provide us with a sustainable source of energy to fuel our bodies all day long. With diminished inflammation and a continuously fueled metabolism, those extra pounds just might find that they no longer need to “stick” around and protect the body, as there is much less to be protecting it from! This week we’re going to talk all about water! Prior to last weeks nutrient discussion, we may not have thought of water as a nutrient at all. It’s so simple that we often overlook it. This week we will bring it into the spotlight and learn why water is the most important nutrient in the body. Water makes up about 60% of total human body mass and consuming enough is critical for adequate hydration and overall health. Water is found in every single tissue in the body. It helps deliver oxygen and nutrients to our cells and transports waste away from cells and out of our body. 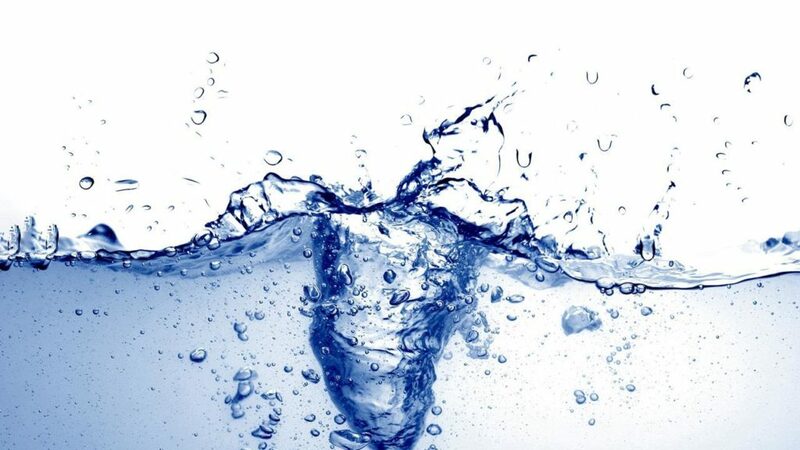 Water makes up the bulk of all body fluids, cushioning and lubricating our joints, and absorbing shock to the body. Water moistens our air pathway for easier breathing, helps regulate our body temperature, improves communication between our cells and maintains their electrical properties. As athletes, we can understand why all of these things are quite important! Water is the most common nutritional deficiency in the American population, so it’s a great place start when we aren’t feeling 100%. Another factor in adequate hydration is the amount of diuretics (coffee, tea, energy drinks, packaged fruit juices, sodas and alcoholic beverages) we consume per day. These increase and encourage urine production, further dehydrating us. In upcoming months we will revisit this topic as it relates to nutrient timing and absorption. For now, let’s keep those water bottles coming! To see what optimal water consumption looks like in physical form, check out this week’s video tutorial on adequate hydration! As CrossFit athletes, we have all heard of at least three terms relating to nutrition: Protein, Fat and Carbohydrates. These are our macronutrients. They are a fundamental piece of the pie, when it comes to being optimally nourished. However, they only make up a fraction of the nutrients we need in order to function as a human being. Let’s take a step back and define just what nutrients are. Nutrients are the chemical substances in food that are necessary to sustain life. They are responsible for energy, structure and function in our bodies. All together, we have three categories of nutrients: water, macronutrients (Protein, Fat and Carbohydrates), and micronutrients (Vitamins and Minerals). What differentiates macronutrients from micronutrients is simply the amount that our bodies require of them. Macronutrients are used primarily as building blocks for body and as fuel for energy production. Micronutrients work as cofactors (think “spark plugs”) for physiological function and also as structural building blocks. If our goals include being fit for life, it’s in our best interest to take into account all of these nutrients, as each one plays a vital role in our overall health. 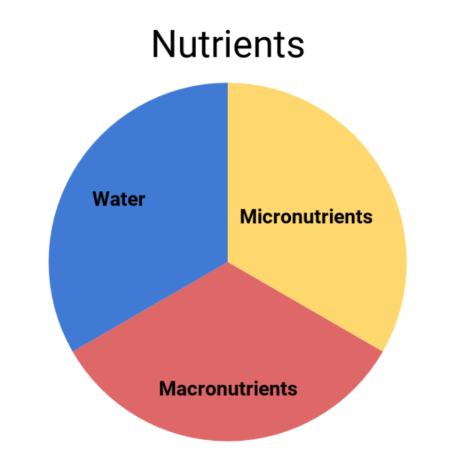 As you can see in the chart, micronutrients and water are equally as important as macronutrients, and if we focus on just one of these categories, we are missing more than half of the nutrients that we need! We will be delving deeper into each of these nutrients individually in weeks to come, learning what their functions are, where we can get them, and why this is all relevant to help us eat, move and live the way we were designed to. First and foremost I just want to say that I am beyond excited to have this opportunity to be a part of the TILT community and share my passion and experience with you all! I wanted to not only introduce myself, but also introduce you to the CrossFit TILT Nutrition Program we are thrilled to be starting! In 2002, The CrossFit Journal posted the article, “What is Fitness?”. 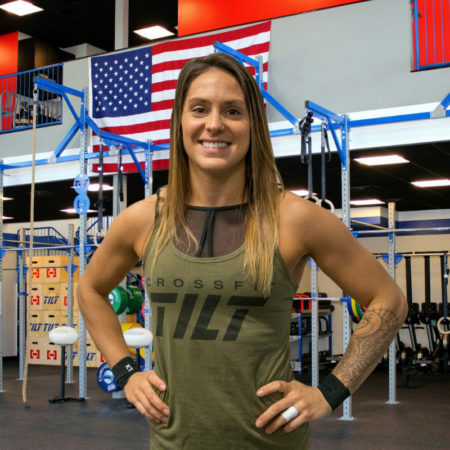 It defined many things such as CrossFit’s Three Standards of Fitness, general physical skills, and how to integrate the elements of CrossFit into our lives. It also portrayed the Theoretical Hierarchy of Development, with the base (or foundation) being nutrition. At CrossFit TILT, we believe in the importance of laying a strong foundation in which we can build upon. We believe that incorporating a slow drip of nutritional information in the form of weekly articles and videos, recipes, seminars, individualized coaching and interactive activities will be a world-class approach to a thriving community. Our program is designed to help every member of our community be fit for life. We believe that nutrition goes far deeper than just “macros” and how we look in the mirror. We believe in taking an individualized approach, factoring in all six classes of nutrients, how well we are absorbing and utilizing them, and how our unique lifestyle plays into all of this. As we delve into learning and refreshing our knowledge on the basics of nutrition, we will be placing a strong emphasis on sleep, stress management, mindset, exercise and creating healthy habits in our everyday life. At any time, if any questions arise or you would like more information or advice on any of these topics, I encourage you to please stop in to chat! We are happy to offer each member a free 20 minute consultation in which we can discuss any topics of your choice and decide together if an individualized plan is right for you. You can find a sign up sheet for weekly office hours at the front desk of each TILT location! Other appointments can be scheduled by emailing me at kathleen@crossfittilt.com. I look forward to meeting and seeing you all on “the dance floor” as Coach Casey calls it! Ever found yourself wondering where you can get something quick and kind of healthy in Waltham? Ever been so far behind in prep cooking that you forgot what a chopped sweet potato looks like, and your Tupperware looks like a science experiment? Well you’re in luck! This month’s Coaches Corner will tell you the ins and outs of eating in Waltham. We’ll talk about some healthy options as well as the best spot to get a cheat meal. Market Basket – Opens at 7am and literally has a million healthy choices. One of my favorite options is head straight to the produce section and grab a piece of fruit (usually an apple) and a vegetable (usually a pepper). Next grab a 1/4 lb of cold cuts (turkey or ham are my fave). After that, an individual size container of hummus, guac, or nut butter, and you are good to go! Make sure you always keep a bottle of mustard in your purse (right, Erin) for the cold cuts. I understand that this might not work for everyone. You don’t want to be the strange guy or gal at the office eating cold cut rollups w/mustard and hummus or eating a pepper like an apple, but for some, this is a great option. Whole Foods – Same as above but will cost you about as much as a 4 year private college. I know some people will chime in about the hot bar at Whole Foods, but that is literally a last resort. The only situation where the hot bar is ok is in the middle of the worst snow storm your grandparents have ever heard of, and there is no food left in the entire store. Now and only now can you eat that chicken tikka masala that’s been sitting out for 6.5 hours. I’ll give it to you that the salad bar is super legit. I cannot stand chopping veggies, and they have ALL of them, but again it’ll cost you a lease payment on the new Jaguar SUV. 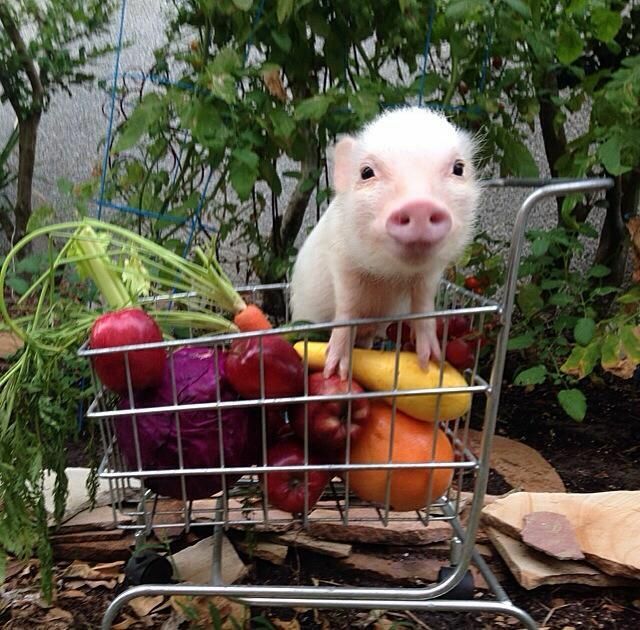 Also, let’s be clear…I have spent so much money at Whole Foods it is absolutely ridiculous. Oh well, life goes on. Chipotle – Yes, I know they had a salmonella outbreak, but I also know that all of us sometimes forget to wash our hands and have done some gross stuff, so I roll the dice. If you’re looking to eat healthy, this is your order: one scoop of white rice (but rice is bad!!! ok you’re having one scoop; everything will be ok), double fajita veggies (load ’em on), 1 or 2 scoops of chicken (on the gain train, go with 3…kidding! ), 2 scoops of mild salsa (all of the tomatoes and onions), 1 scoop of medium salsa, 1 scoop of corn, as much lettuce as they can force on top, and guac on the side (yes, guac is extra…so what, make it rain like a millionaire). That serving of guac is enough for 3 days worth of fat. Use a little bit, or skip it all together. Any Pizza Place – I don’t care which pizza place you go to. They’re all the same. Oh Theo’s in Weston is the best? What about Steve’s in Waltham? Little Eddie’s? Made that last one up. Only thing to get at any of these places is a Greek salad with extra veggies and grilled chicken. If they ask how many veggies, tell them you want all of them. Ask for dressing on the side, or if you’re a complete psycho ask for no dressing at all and skip the salad and just chew a bunch of grass. Paleo Power Meals – Where is it? The wonderful interwebs. PPM has bailed me out so many times I cannot begin to tell you, but I’ll try. 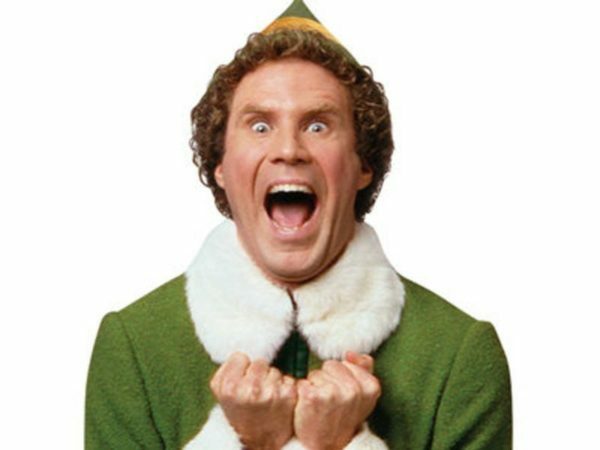 Place an order for like 2 to 3 meals and be so psyched when you don’t have to scramble at night for a meal. Order bulk items when you feel lazy. Easy peasy lemon squeezey. Sweet Green – Is it in Waltham? Nope. Is it worth the drive? Yep! Is it #basic? Better believe it! This place is as #basic as it gets, and I couldn’t care less. I’ll wear Uggs, black Lulu tights, an over-sized t-shirt, a pair of Ray-Bans, a side pony, and call me Becky if it means I can have more of these salads. This place freaking rocks. Fresh ingredients with loads and loads of veggies. How’s the price? Do you really care that much about the price? You’re buying a salad from a place that specializes in salads; you know going in you’re not getting a great deal, but they’re delicious and at the same time nutritious. Russos – If you don’t know, now you know. Thank me later. Taco Places – We’re now getting into the “healthy-ish” part of this writeup. I’m not going to list every single taco spot in Waltham because there are a ton, and everyone says the place they go is “the best Jerry, the best.” So go on Yelp and look up tacos in Waltham, try them out one at a time, and make your own decision. Jake and Joe’s – Garbage. This place is a last resort. Fine for drinks with your friends and that’s it. I went there with some friends who got steak tips, and they might as well have been hockey pucks. When we asked the manager what was going on, he said he had new cooks who didn’t know how to cook steak. 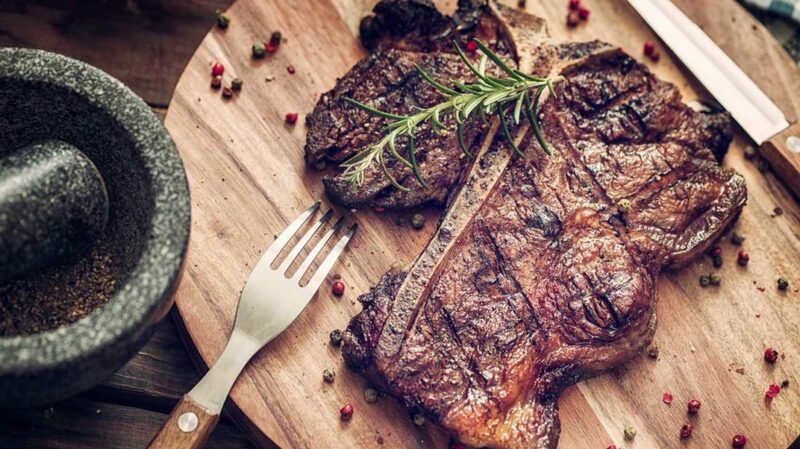 Rogue knows how to cook steak…medium-rare always. 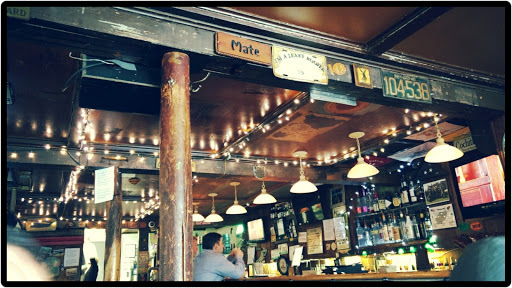 Not Your Average Joe’s – This place should be called Your Average Joe’s. Listen, if we’re talking high school science classes I would’ve killed for average, but we’re not. We’re talking about food and Joe’s is average at best. Pass. Moodys – Hands down home to a top 3 sandwich (the spicy cuban). There is no debate the spicy cuban is on the top. The gino wrap is an unreal breakfast wrap, but let’s be clear neither of these options are healthy at all in the slightest. If you’re looking for healthy, you’re going to have to dig deep. They have an ok salad and you can get a carnitas bowl for breakfast. I know everyone swears by their dinner, and I do really like it but it’s all salt all the time with very few green options. Good for once in a while. Tempo – I’ll take Tempo over Moodys for dinner any day anytime. There, I said it. It’s better. They have way better small dish options, and I think one of, if not the best steak I’ve had. Also, you can actually get in at Tempo. Not to mention, they have green things on their menu.